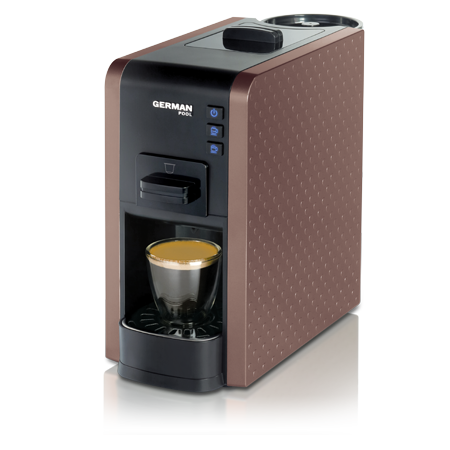 The 7 capsule adaptors of the Multi-Capsule Coffee Maker are compatible with different capsule brands, coffee pods and ground coffee. 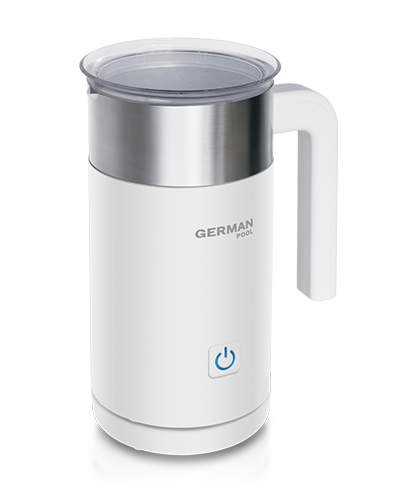 The German Pool Multi-Capsule Coffee Maker is recommended by Weekend Weekly. Reporters of the magazine test the appliance out and make capsule coffee of different brands using one coffee machine! 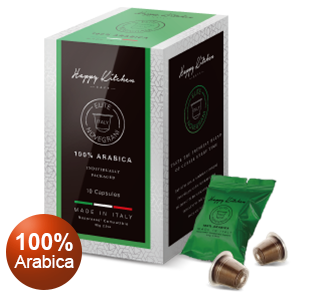 Select different coffee capsules, coffee pods or ground coffee according to your preference. Your choices are unlimited! 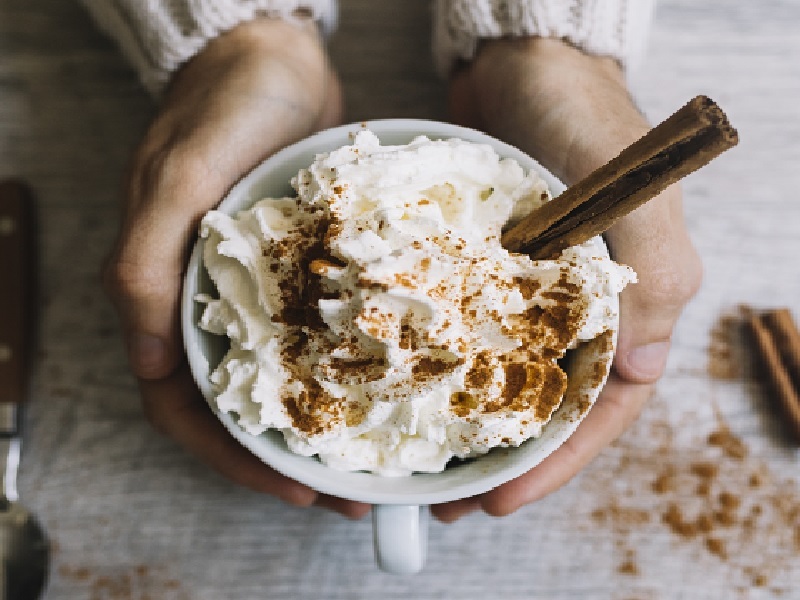 The owner of the above marks 'NESPRESSO' and 'DOLCE GUSTO' is Societe des Produits Nestle S.A. We are not the licensee of the said marks nor are we associated with the business of Societe des Produits Nestle S.A.
Not every coffee capsule is compatible. 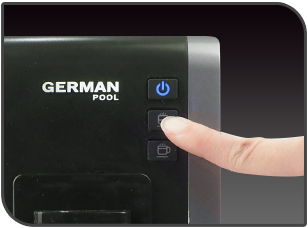 Please consult the supplier to confirm, or sample the capsule of your choice at German Pool Cabinetry & Appliance Centres. 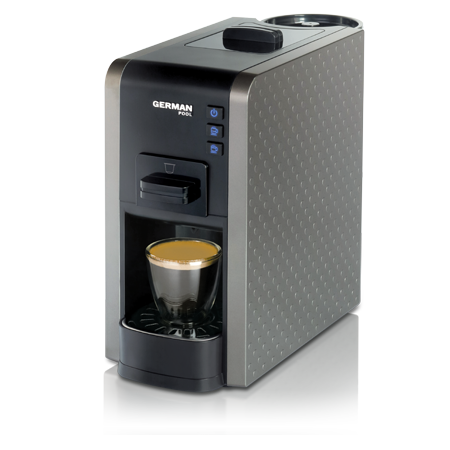 With the “Large Cup” and “Small Cup” button, the Multi-Capsule Coffee Maker allows you to create your own cup of coffee instantly. 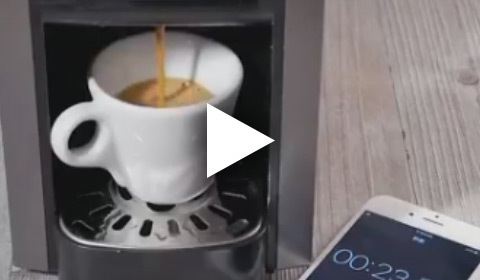 To customize the volume of your cup of coffee, simply press and hold either of the buttons until the desired volume is reached. 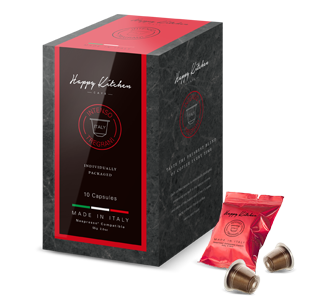 How to adjust the water volume according to different coffee capsules? Adjust the temperature according to your preference. Make a unique cup of coffee effortlessly! 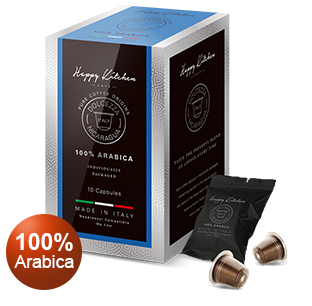 The quality pump extracts the essence of coffee, releasing the mellow, aromatic flavour. 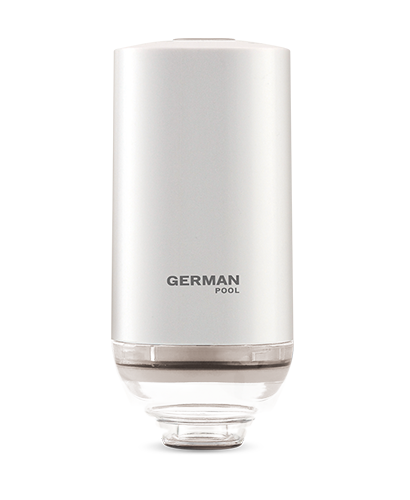 With a smart cylindrical design, the external water tank is delicate and can be easily detached. It is convenient to be cleaned and filled with water. 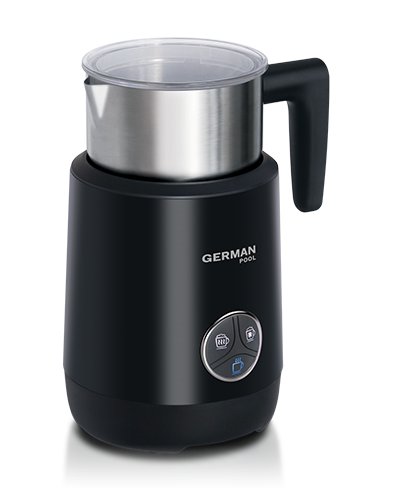 The large 0.8 L volume enables you to make multiple cups of coffee at a time. 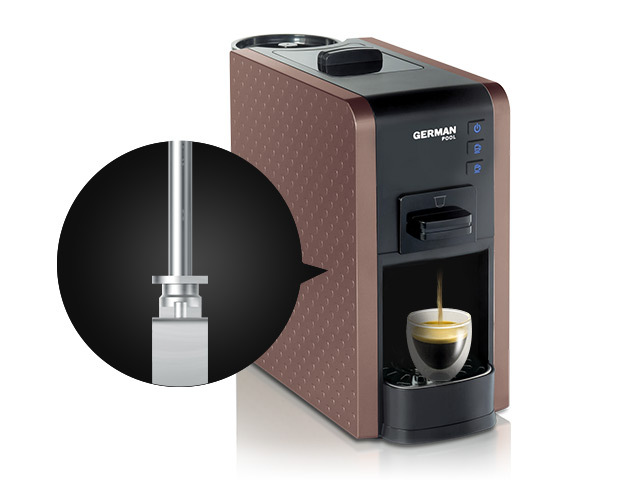 The coffee machine has a adaptors storage compartment at the top, where adaptors can be stored when they are not in use. It is convenient and functional. The simplistic control panel only consists of 3 buttons. Operation is easy and straight-forward. 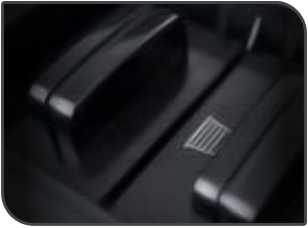 Store your capsule adaptors into the compartment on top when they are not in use. Convenient and practical. 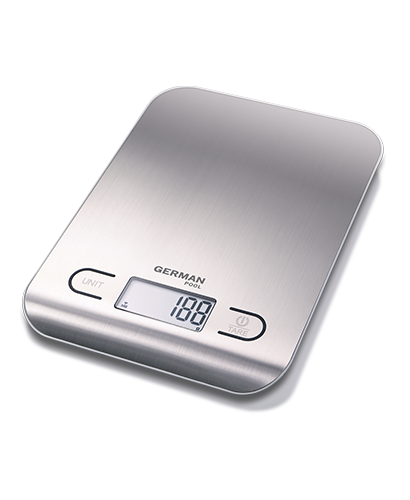 The slim, compact body is space-efficient and aesthetically appealing. Suitable for modern homes with limited space. 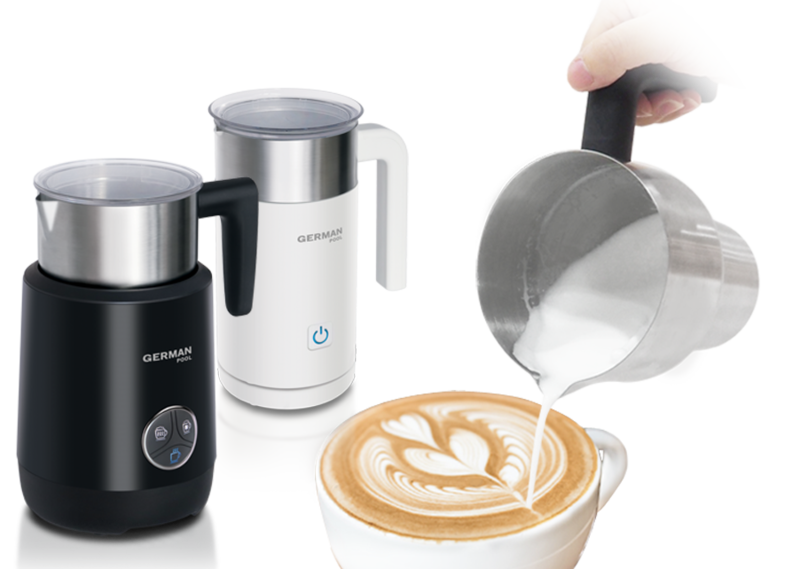 Up your coffee game with the Electric Milk Frother for a different feel and flavour everyday. Prepare your favourite blend or brand. 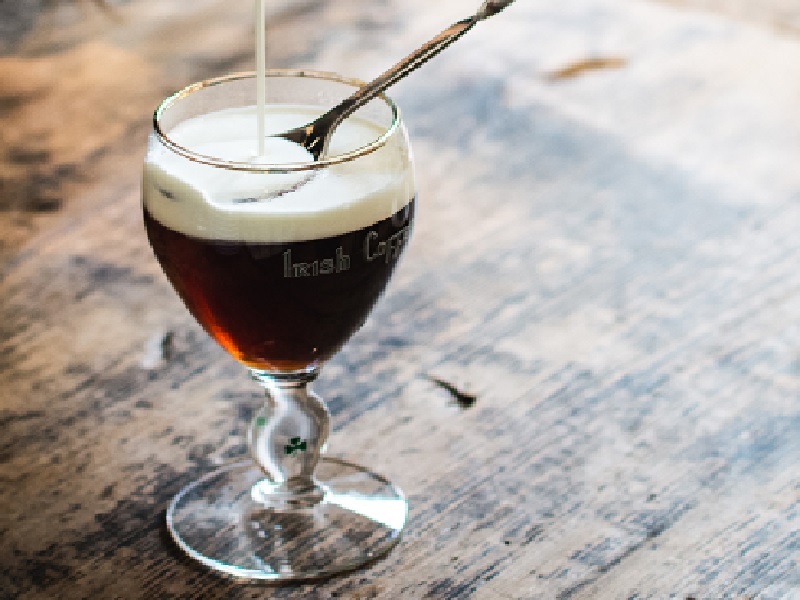 Make your milk fluffy and silky. Discover your inner latte artist. Feel like an Electric Milk Frother? 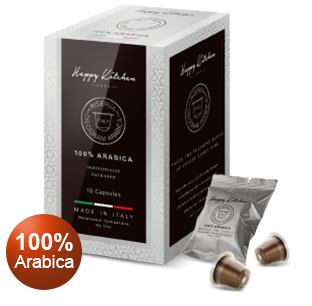 The different flavours of quality Italian coffee allow you to indulge in aromatic flavours anytime you want. 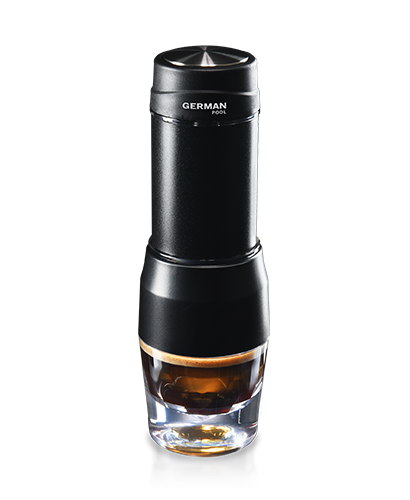 Is there any limitation regarding the grind size when using the ground coffee adaptor of the Multi-Capsule Coffee Maker? 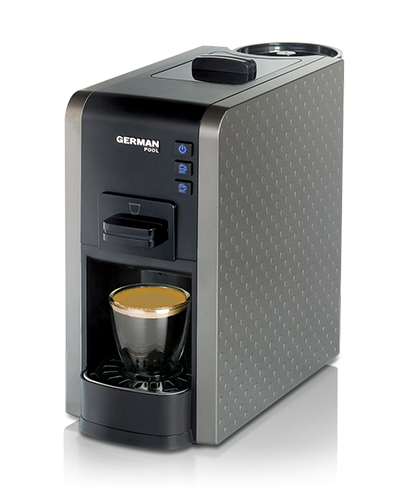 The fineness of coffee grind does not affect the performance of coffee maker or the quality of coffee. To achieve the best result, keep the size of granules between medium to fine. 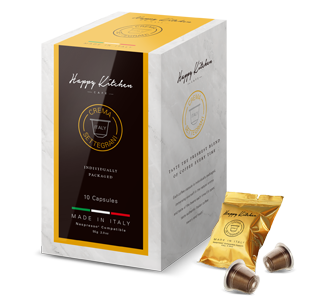 How shall I adjust the water volume and press time when using DOLCE-GUSTO-type coffee capsules with the Multi-Capsule Coffee Maker? 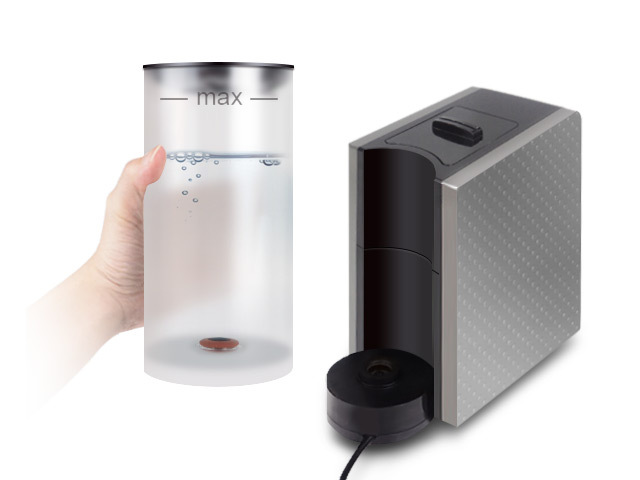 How to adjust the water volume and press time according to different coffee capsules when using the Multi-Capsule Coffee Maker? 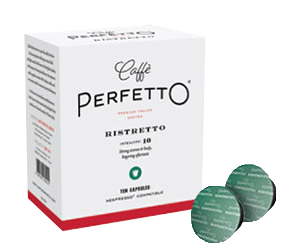 Coffee capsules of different brands/styles require different water volumes. 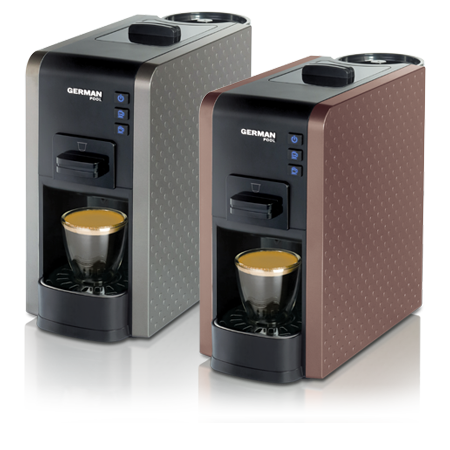 Please check the volume bar shown on the capsules and adjust the water volume accordingly by long pressing the "Small Cup" or "Large Cup" buttons. 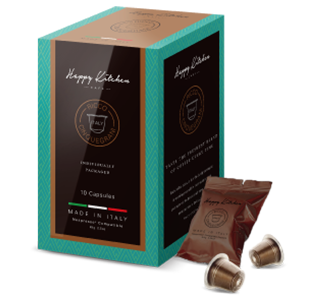 Is there anything I have to pay attention to when using coffee capsules? To maintain the coffee flavour and the performance of the coffee machine, please do not reuse coffee capsules. 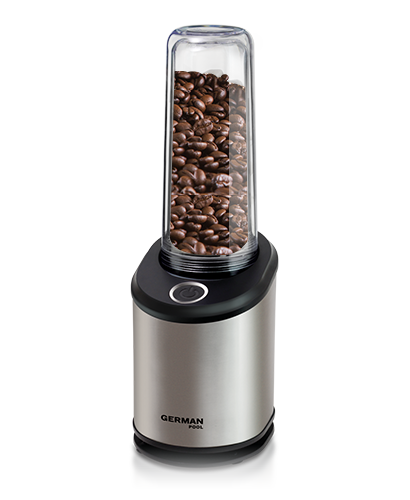 What is the best way to clean the ground coffee adapter of the Multi-Capsule Coffee Maker? The ground coffee adapter has to be cleaned every time after use. Rinse with water and washing up liquid. Unscrew the screw regularly to disassemble the adapter and thoroughly rinse it to prevent blockage by ground coffee granules. 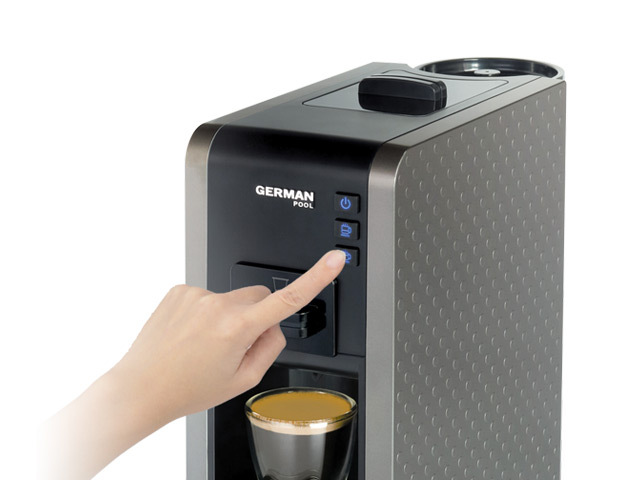 The Multi-Capsule Coffee Maker is not producing any coffee. Why? Please check if the water tank is empty. If it is, fill it with water. Also, make sure the correct capsule adaptor is chosen for the corresponding type of coffee, or else the coffee maker will not operate. 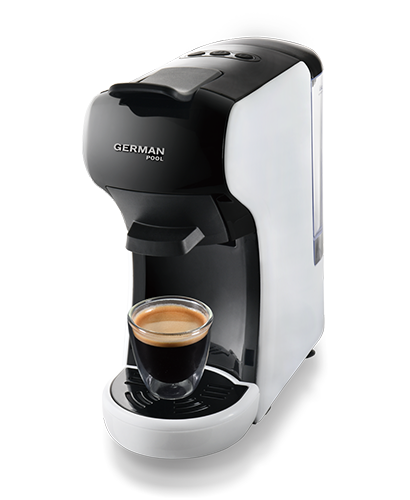 Inserting the coffee adaptors upside down may damage the coffee maker as well, causing the appliance to stop producing coffee. Please bring the appliance to the Customer Service & Repairs Centre for inspection. 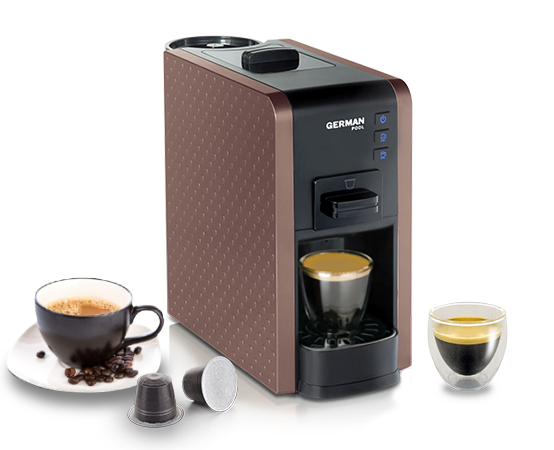 How to control and adjust the volume of coffee of the Multi-Capsule Coffee Maker? 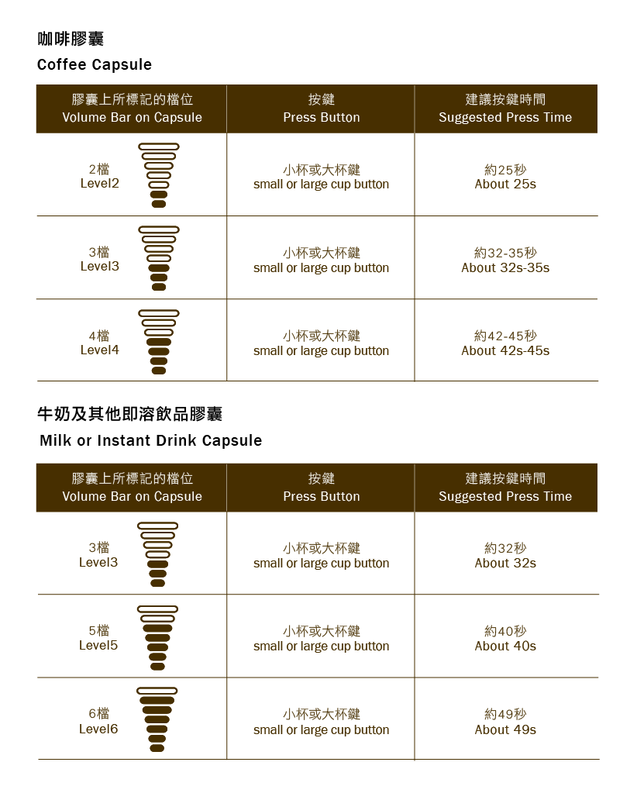 The preset volume of "Small Cup" is 20-30 ml and that of "Large Cup" is 40-65 ml. 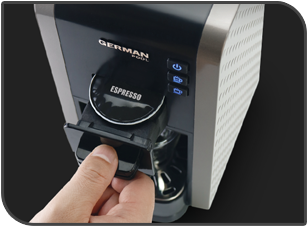 To adjust the volume according to personal preference, press and hold either the "Small Cup" or "Large Cup" button. Release when the desired volume is reached. The coffee maker will then remember and apply the same setting on the next occasion. 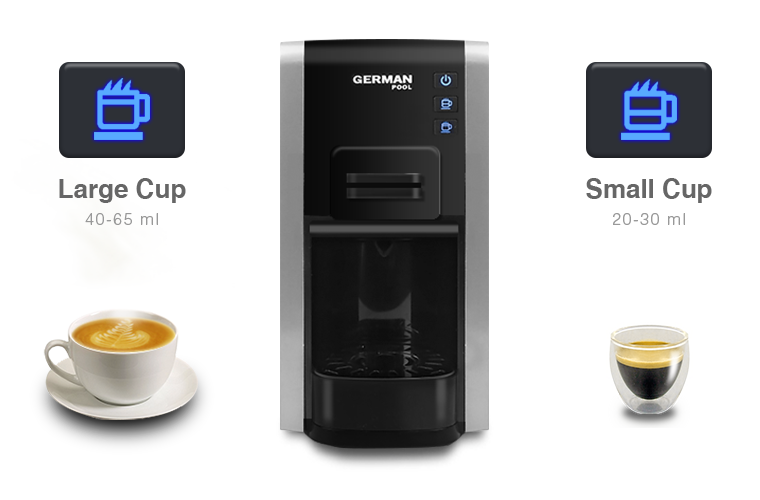 How to reset the Multi-Capsule Coffee Maker to its default mode after customizing the coffee volume? 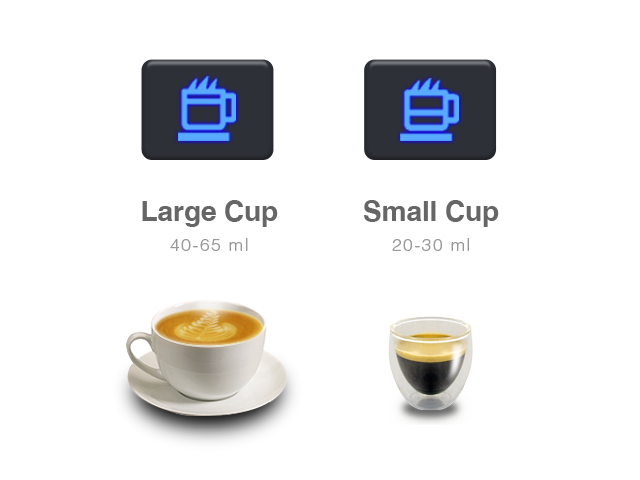 Press both the "Small Cup" and "Large Cup" buttons simultaneously until they flash 3 times. The coffee maker will then return to its default settings. Water is spilling out of the capsule adaptor when making coffee. What should I do? Please check if the capsule adaptor is inserted properly or compatible with the coffee capsule of your choice. 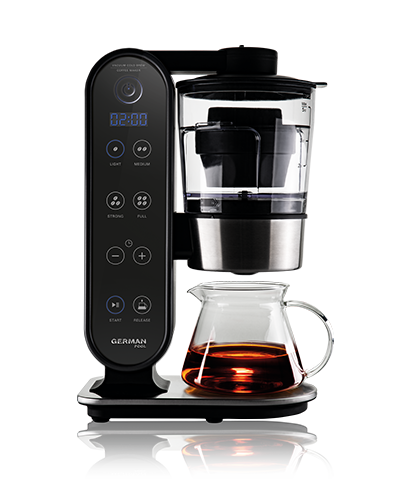 The Multi-Capsule Coffee Maker shuts down automatically. Is there a malfunction? 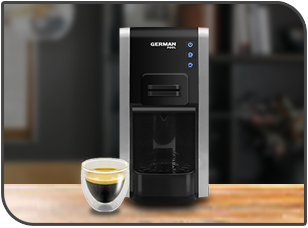 The energy-saving function of the coffee maker will automatically shut down the appliance if it is left idle for more than 25 minutes. 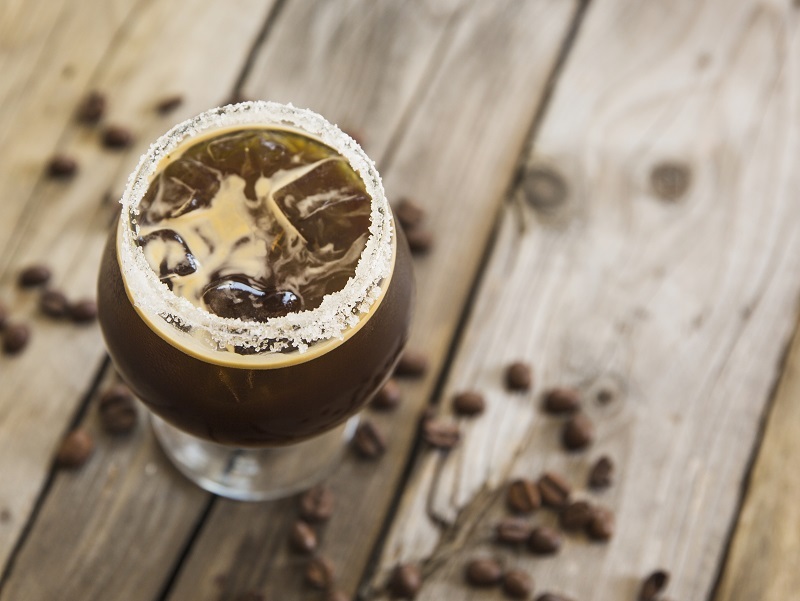 Can I put tap water into the water tank of the coffee maker? Do not put tap water into the water tank. Use distilled, filtered or boiled water. Do not put other forms of liquid into the water tank.